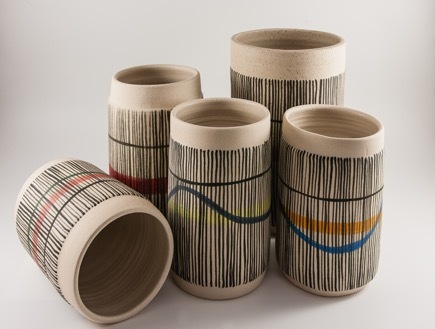 ’Reeds Stoneware’ is a range of high-fired stoneware cylinders, jugs and bowls. They are available in a number of colours (red, blue, green, brown, yellow). They are all hand-thrown and turned on the wheel. 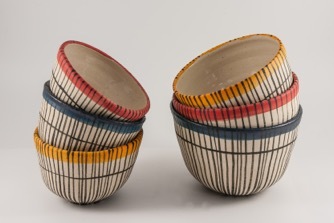 All of the pieces pieces are individually hand-painted using ceramic underglaze colours. 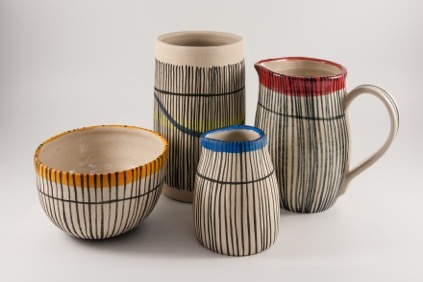 All of these pieces are glazed internally and the large jugs are also glazed on the outside. They are all made to be practical as well as decorative. All of the items in this range are food and dishwasher safe. The colours will not fade with use or wear.